i Click 'view all' to instantly compare this good deal with offers on other top dash cams. 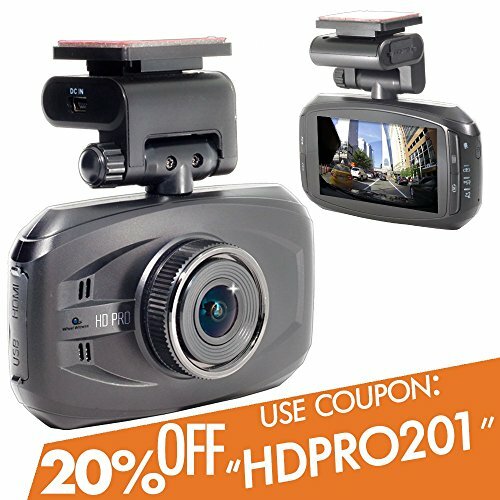 WheelWitness PRO Dash Cam with GPS 2K Super HD is currently selling at $124.99, which is its normal price. It has a lowest price of $123.99 and is selling within its usual range. Price volatility is 0.59% (meaning it does not change often), so the price should stay low for a while. Until then this is a recommended 'good deal'. 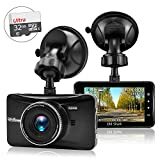 Compare the current price, savings (in dollars & percent) and Buy Ratings for the top Dash Cams that are closely related to WheelWitness PRO Dash Cam with GPS 2K Super HD. Here is how WheelWitness PRO Dash Cam with GPS 2K Super HD compares with other leading Dash Cams. 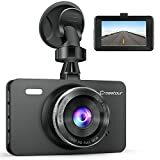 Product Description With Super HD 1296P (2304×1296) resolution, WDR, a 170 degree extra-wide-angle lens, and simple plug and play installation, the HD PRO is the premium choice out of all other dash cams for sale on the market today. Driven by a powerful, innovative processor, this dash cam features cycling recording, a motion detector, and countless other features that ensure that it protects you when you need it most without missing a moment. Of course, the 3.0" LCD screen is yet another benefit, giving you a crystal clear display that represents the quality that Wheel Witness is known for. There are several features that truly set the HD PRO apart from the rest, including: Maximum Video Resolution: - 2304x1296p 30 FPS - Wide Dynamic Range (Combines multiple exposures for optimal night vision) - Ambarella A7 Processor - 3.0" 16:9 TFT LCD Display - 170 Degress, Extra-Wide Angle Lens - WDR - Extra Bracket for 2nd Vehicle Use - Control Exposure Value (EV) - Video Playback - Time/Date Stamp - Manual Audio Control - Supports a 64 GB SDHC Memory Card - H.264 Compression - Exposure Compensation - Motion Detector - G Sensor - Foldable Bracket for Easy Storage - Screen Saver Function to Save Power - 450 mAh Lithium-Ion Battery - USB Port - GPS Enabled - HDMI Port - Cycling Recording - When you're tired of searching through countless car dashboard cameras for sale and are ready for one that delivers relentless quality, innovative design, and exceptional video, the Wheel Witness HD PRO is exactly what you need. Features? FREE 16GB microSD ? 2560x1080 / 2306x1296P SUPER HD - The highest resolution currently available on any dash camera. Everything is recorded in crisp, 2304x1296P resolution allowing you to see the most detail.? WDR (WIDE DYNAMIC RANGE) / HDR Technology - WDR technology allows for the best night video. WDR is able to show a fully balanced exposure, with the ability to compensate light and dark spots of the frame in one shot.? 3x MOUNTS FOR MULTIPLE VEHICLE - 2 Sticky Mounts + 1 Suction Cup ? PLUG & PLAY - Once a microSD card is inserted, all you need to do is plug the camera in to the cigarette lighter outlet and it will start recording automatically.? GPS Enabled - Follow your video alongside a Google Maps screen showing you exactly where you were! ? 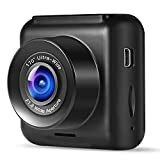 EXTRA WIDE ANGLE LENS - The dash camera is equipped with a 170 degree extra wide angle lens that allows you to capture absolutely everything that you see in front of your vehicle.